You can sign up to use Read Listen Learn by clicking the Try it free button. This will take you to the Pricing page where you can sign up for a free account giving you individual access to 100 articles or for a school account giving you access to our full library and features to help teachers to work with learners. To set up a school account, select a plan based on how many members you need and click Start Free Trial or click on contact us if you need more members or to pay in a different currency. To set up a free account click the Create Free Account button on the Pricing page. We will send an email to the address that you give us. When you get the email, click on the link to confirm your account and then login. If the email doesn’t arrive, check your spam or junk folder - it might be in there. If not, just contact us and we'll help you complete the process. 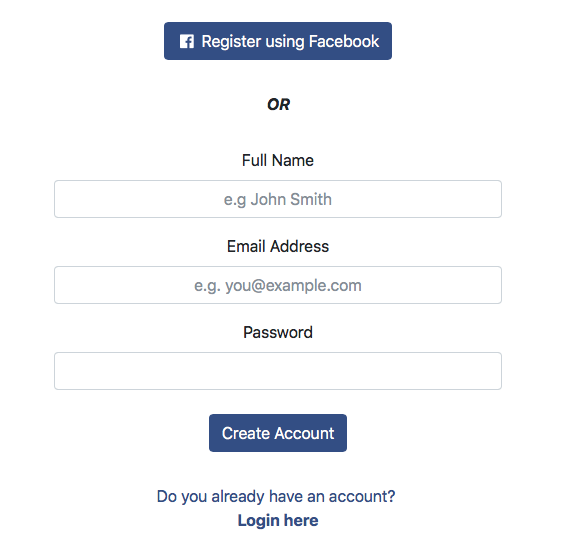 If you use Facebook to register, you will be taken to screen asking you to confirm that you want to continue. Click on OK and you will get straight in - we wont need to send you an email to confirm your email address.